Think back over the years—hasn’t there always been a song or two that speaks to you in every part of life? That sensation doesn’t go away as we age. In fact, it actually grows. It may come as a surprise for many to learn that both playing and listening to music have been shown to positively affect quality of life for seniors. 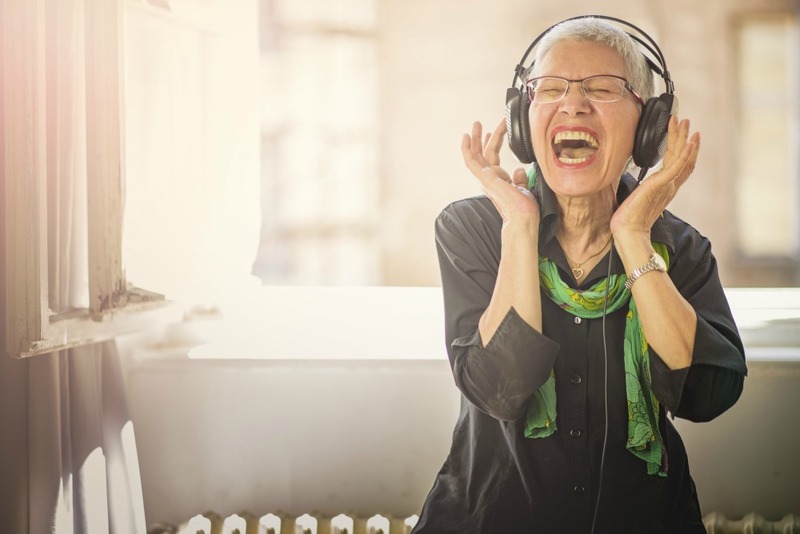 Read on for a look at the positive role music can play in seniors’ lives and how to incorporate it into everyday living. Simply put: Music is powerful “medicine.” It holds the power to reduce stress, improve symptoms of depression, and enhance productivity, among others—and, ultimately, improve a person’s quality of life. Pleasing melodies play an important role in life for people of all ages. But for seniors, the benefits are even greater. One of the most significant benefits of music for seniors is its seemingly magical ability to improve memory. Specifically, music can stimulate feelings of wellbeing in seniors by evoking strong memories and emotions. For seniors who have age-related memory issues—or even dementia—music has the power to actually bring back memories. In addition, music can help slow age-related cognitive decline by improving aging adults’ cognitive processing speed. Is Your Aging Loved Receiving Person-centered Care? Our team creates customized plans for LIFE members to best meet their unique, ever-changing needs. When it comes to quality of life for seniors, some may not consider the important role that socialization plays. Remaining socially active has been linked to a number of health benefits—and remaining in good health is important for quality of life for seniors. For seniors who are struggling with loneliness or looking to improve their social life, music may be just the ticket. In many cases, music can broaden seniors’ social networks. Joining in with others to make and/or listen to music can spark discussions that improve connections with both friends and family members. At Senior LIFE, we understand how important relationships and socialization are quality of life for seniors. In addition to caring for members’ health-related needs, Senior LIFE also provides help with emotional, family, and social issues. When members enroll, they are assigned a social worker who manages and coordinates their care. Additionally, Senior LIFE’s day center offers a warm and inviting space where LIFE members can socialize, receive hot meals, see the doctor, and receive therapies from their healthcare and personal services team. And many of the activities that Senior LIFE members can participate in at the Senior LIFE Center incorporate music. By incorporating music into their everyday life, seniors can give their quality of life a much-needed boost. Aging adults benefit from music that improves their moods, brings back older, happy memories, encourages socialization, and promotes overall mental and physical health. By harnessing the power of music, your aging loved one’s communication, memory, socialization—and overall, his or her quality of life—stands to greatly improve.